The Patriots were decimated on the edge in 2017. They lost Jabaal Sheard and Chris Long in free agency. But they brought over Kony Ealy in a trade with the Panthers and then drafted Derek Rivers and Deatrich Wise in the draft. 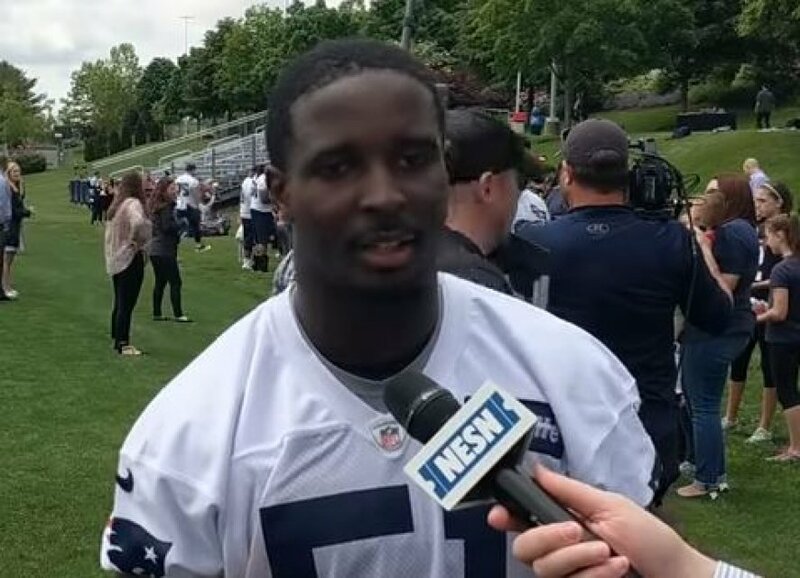 They were planning on having the old pro-Rob Ninkovich for one more season along with Shea McClellin and Dont’a Hightower who was moving to the edge last year. Well, Ninkovich unexpectedly retired in training camp. McClellin and Rivers were injured in camp and were lost for the season. Ealy didn’t fit and was released. 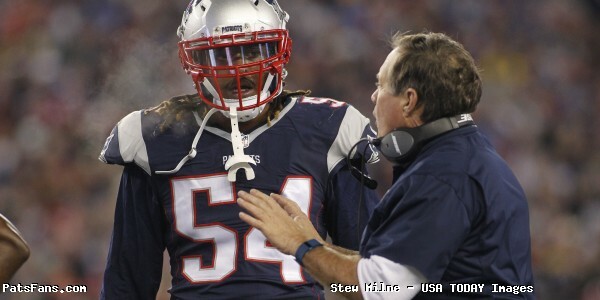 Hightower and rookie Harvey Langi who was pressed into some edge work were lost for the year as well. The team brought in Cassius Marsh, but he didn’t work out and later signed Eric Lee. 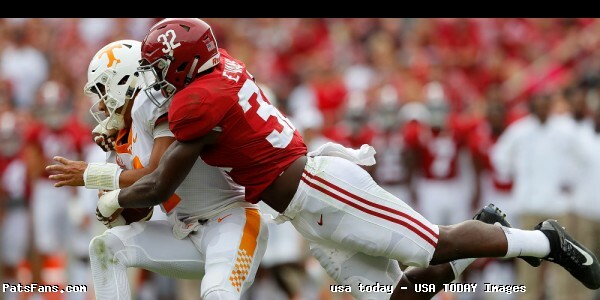 Lee showed a nice ability to rush the passer but had trouble on the edge. They eventually brought James Harrison on late in the season. The team signed Adrian Clayborn this spring which immediately helps. 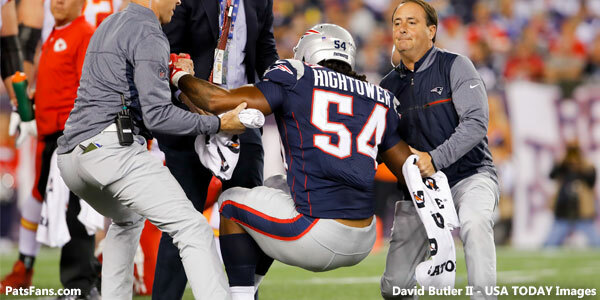 Hightower, Rivers and Langi return, they’ll join Trey Flowers, Deatrich, Lee, and Adam Butler but they could really use another young edge player which could facilitate moving Hightower and Langi back to linebacker. Sam Hubbard from Ohio State has prototypical size for an edge player at 6’5, 265-pounds. He still had a year of eligibility left but decided to come out in this season’s draft and has first-round talent. He had a very productive final season with Buckeyes, garnering 42 tackles, including 13.5 tackles for a loss, seven sacks, and two forced fumbles. 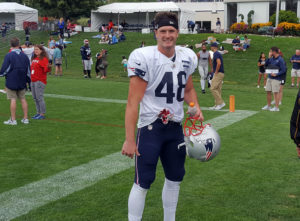 He would be a nice fit for the Patriots defense and would be a Day 1 contributor as an edge player as part of their rotation. He could easily develop into an above average pass rusher and a starter. Hubbard was a lacrosse player (oh yeah another lacrosse player) and is a converted safety before he packed on the muscle and became one of the stalwarts on the team’s defense. Hubbard is a high-motor guy as well as a high character one. He was a team captain as well as Academic All-American. His work ethic will immediately win over the coaching staff and his tenacity will get kudos for the team’s fanbase. He has a high football I.Q. and his instincts are excellent. While not an elite athlete, he produces thru his smarts and instinctive play. He’s a sure tackler and does a good job at setting the edge in the running game. He’s not an explosive pass rusher, and benefitted from the stunts and twists the Buckeyes ran in the passing game. But he displayed good, quick hands and is versatile and can play on either side of the line. While he’s not an elite pass rusher, he’s a very solid all-around player who can do it all. Hubbard will be an immediate rotational player on the edge. With Flowers and Clayborn and possibly Rivers, he’ll be expected to play whenever they need to keep fresh legs out there. Yes, in Year 2 he should have packed on a few pounds in the strength and conditioning program. Then he can push for more reps and perhaps slide into the starting position with a solid rookie season. Geneo Grissom, who has been a very good Special Teams player but hasn’t contributed at all defensively. Hubbard could force him out. 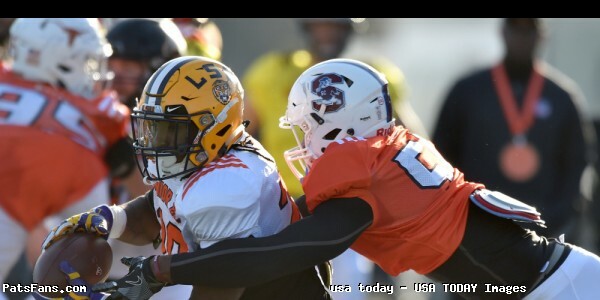 Hubbard is what many draft experts call a “safe pick”, in that he has a very high floor and while he may not become an elite defensive end, because of his work ethic, excellent instincts and high motor could be a very good one. While Patriots fans want the guys who can pin their ears back and rush the QB kind of players, that isn’t the defense that they run. 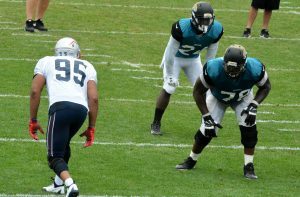 The “read and react” defense is predicated on setting the edge first in the running game and then having the ability to push and squeeze the pocket forcing the opposing QB into making mistakes. They want versatile guys who can do it all and Hubbard is the kind of player they covet. Bill Belichick will love this guy, he has a tremendous work ethic, high football I.Q., a non-stop motor and will be a productive member of the defense. While he’s not that explosive guy at the line, he’s very quick and ran the 3-Cone Drill in a very impressive 6.84. He has the ability to be an above-average pass rusher in the NFL with a bit of experience. He should be an immediate Day 1 contributor to the defense if the Patriots decide to pull the trigger. 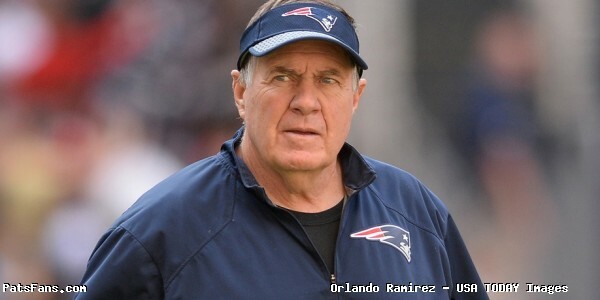 This entry was posted in 2018 Patriots Offseason, NFL Commentary, NFL News, Patriots Commentary, Patriots News, Patriots Rumors and tagged 2018 NFL Draft, 2018 Patriots offseason, Bill Belichick, Deatrich Wise, Derek Rivers, Dont'a Hightower, Harvey Langi, Jabaal Sheard, New England Patriots, NFL, Patriots, Patriots edge rushers, Sam Hubbard, Trey Flowers on March 29, 2018 by Steve Balestrieri. 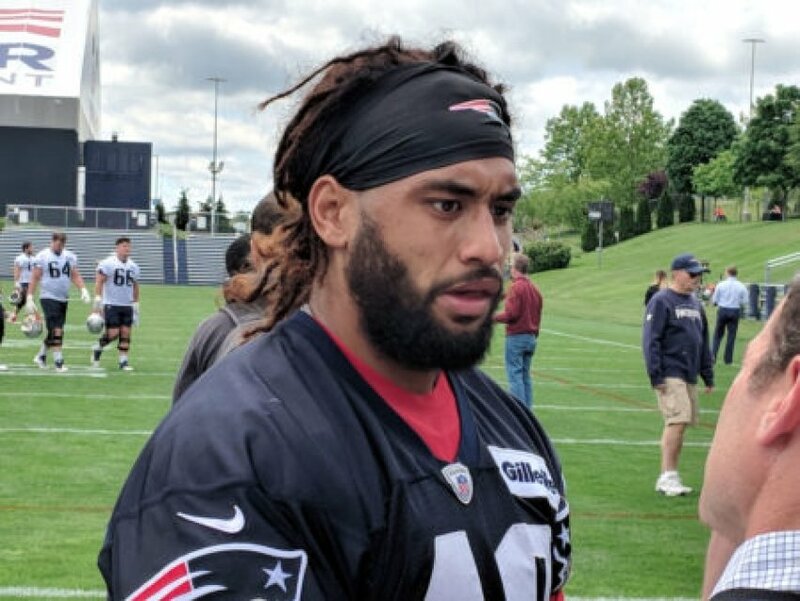 This past Friday night, New England Patriots rookie linebacker Harvey Langi along with his wife Cassidy were involved in a serious car accident in Foxborough. According to reports, Harvey suffered a head and neck injury while Cassidy received multiple hip fractures, broken ribs, possible internal bleeding and injuries to her spleen and liver. On Instagram Tuesday night, Cassidy shared an emotional video of herself reuniting with her husband for the first time since the crash. 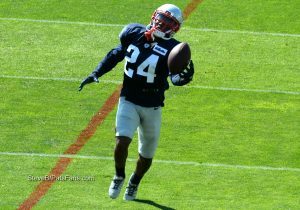 This entry was posted in Patriots News and tagged Harvey Langi on October 18, 2017 by Robert Alvarez. 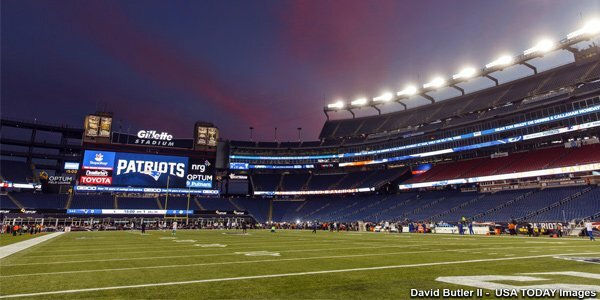 Good morning and welcome to your Sunday Patriots news 9-3 and AFC East notes. 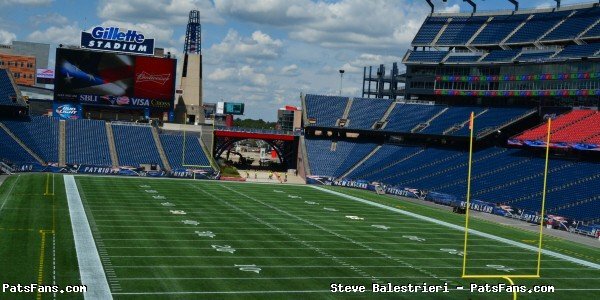 One of the more interesting notes from Saturday was that the Patriots were waiting until after their scheduled 12:15 p.m. practice to make their final cuts. It isn’t like they didn’t already know who is going to make or not make the team. It does seem odd with their timing of things. I’d love to find out their reasoning behind it, although we never may. The Patriots made four moves over the period between Friday and Saturday by the time of the initial 53-man roster cut-down. The trade of CB Justin Coleman to Seattle for a 7th Round draft pick was a win for both teams. Coleman had been outplayed by the top four corners as well as (in our opinion) Kenny Moore and D.J. Killings. By getting something for him, it was a win for NE as he didn’t fit in their plans. The trade for Detroit’s Johnson Bademosi was a nice boost for the Pats. He didn’t fit into the Lion’s plans and they netted a 6th rounder in 2019. The Patriots got a good STs gunner in Bademosi and with several of the team’s STs performers banged up and facing KC with Tyreek Hill this week, smart move. The team’s trade with Indianapolis was again, a win for both teams. Phillip Dorsett obviously didn’t fit in the Colts long-term plans. Ditto for Brissett in New England. Folks, Bill Belichick isn’t going to trade a QB that fits into their plans. That position is the hardest to fill in the NFL. With Julian Edelman on IR and Malcolm Mitchell banged up all summer, the Patriots will try to find a way to harness his 4.33 speed. With Dorsett, Cooks, and Hogan, the Patriots now have speed merchants to create matchup nightmares. Will it work? Time will tell. The trade with Seattle later on Saturday afternoon was another good move by Bill Belichick. The team was releasing STs stalwart, Geneo Grissom. But he never made a dent on defense and with the team thin at the DE position, made the deal for the same draft pick they got from Seattle to give it back for DE Cassius Marsh. Marsh played nearly 80 percent of the Seahawks STs snaps in 2016 and is a versatile guy that plays on the edge or as an interior pass rusher. Overall all of the trades worked out for the Patriots and the teams they dealt with. Seeing reports that the Pats “fleeced” the Colts is hogwash. The Colts were reportedly taking offers for Dorsett this week and with Andrew Luck not yet ready for action, they were in need of another QB. Brissett’s sharp performance on Thursday night must have been the deciding factor. Will all of these moves work out? Time will tell but overall the moves make sense for both teams across the board. While the Patriots have made their initial cuts to get down to the 53-man roster limit, don’t get too wrapped up in who is here, especially at the bottom end of the roster. If Bill Belichick and the staff have shown anything in the past several years it is that the roster will change, sometimes a lot in the early days of the season. I would expect the team to tweak the roster quite a bit in the next two weeks as we’ll see the coaches tinker with and find the players who best fit what they’re trying to do. Then, as we’ve usually seen, the team will make a deal or two in-season to fill a need or to bolster the team’s depth. And as with the practice squad, which will be announced later today, this unit will see plenty of faces. So, don’t get too worked up over the roster construction, as it is currently constructed. There will be more changes coming. There are times when Bill Belichick’s press conferences become “must-see” and great learning tools for the media and fans (live cast on Patriots.com). Whenever he’s talking about football history is always a perfect example. I was fortunate enough to be in attendance at one last year when he spoke at length about forming a practice squad. On Friday, he was at it again when asked if a punt returner, as in a player who might not contribute much offensively or defensively, was worthy of a roster spot. His answer, long and articulate is the kind of stuff that makes his Friday pressers those must-attend events. “I mean I’d say the ball-handling is critical,” Belichick said. “It’s like the long-snapper. How many plays is a long-snapper in for a game? Call it 10? I don’t know. Somewhere in that neighborhood. Eight to 10 extra-points, punts, field goals. But everybody carries a long-snapper. “Of course the easy answer is if one person does both, that makes it a lot easier, and it also makes the overall roster discussion a lot easier,” Belichick stated. “The big difference, of course, is on kickoff returns you have a chance to build up your speed. You get a chance to handle the ball cleanly, and there’s nobody on top of you when you’re catching it. You’re able to run and set up your blocks and hit things full-speed . . . usually between the 20 and 30-yard line, where the coverage and the blockers and the wedge all sort of come together and the returners get a chance to set those blocks up and hit them and try to get through there. “The punting game is a lot more situational. Mostly on kickoffs, the ball’s always kicked from the same place. Rarely is there a difference; there are some, but they’re minimal — after a safety or that type of thing. But punting, the ball can be anywhere. The situation that they’re punting in can be quite diverse and sometimes complex. Punters are very good at directional punting and kicking different types of punts — end-over-end punts, spiral punts, spirals that don’t turn over and so forth. The ball-handling is a little more complex. “And you have to deal with players around you as you’re catching the ball sooner or later. Sometimes a punter will outkick his coverage, but the majority of the time there’s some decision making involved on whether to catch it and how to make the first coverage player or two miss to get the return started, or fair-catch it, or to let it go and not catch the ball, or to let it go over your head and go into the end zone for a touchback. There’s a lot of decision-making on whether to just catch the ball, or whether to catch it and run with it, or whether to catch it and just fair-catch it that are quite different than the kickoffs. “And then in addition to that, you’re dealing with defenders and coverage players that are on you a lot quicker on punt returns. Sometimes you only have a yard or two, or a couple yards, to get into space, make a guy miss, break a tackle, whereas kickoffs are much more of a build-up play. Because they’re so different a lot of times you don’t have the same player doing both. “And on a personal opinion, because they’re so different, I find the two plays very fascinating and intriguing and a great part of the strategy of football. Just because the plays themselves are so different in the teaching… the rules, the skills and so forth. So that’s why I’m not in favor of . . . I take an opposing view to the people that want to eliminate kickoffs from the game and try to have as few kickoffs as possible. I think it’s an exciting play. It’s a unique play and one that is a big momentum play because of what happened the play before — the score or possibly the times at the start of the half where it’s kind of a tone-setter or a pace-setter for that opening play. “So yeah they’re plenty different. And of course the same thing in the blocking. You have a chance to set up a return (on kickoffs), whereas on the punting side of it you have an option of trying to pressure the punter and block it or return it, but you kind of have to return it from the line of scrimmage. You can’t drop off too far because of the possibilities of fakes. So you have to keep enough guys up on the line of scrimmage to ensure that that ball is punted. And you have to ensure you’re not getting an onside kick, too, but again, that’s much less frequent and the rules are in the kick-return team’s favor on the onsides kick. It’s a big gamble for the kicking team to do that as a surprise tactic. So the blocking patterns and techniques of blocking are quite different on the punt returns compared to what they are on kickoff returns.” Mic drop. 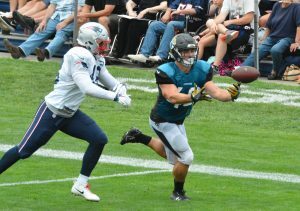 One of the good stories this spring was the Patriots signing of twin brothers Jacob and Cody Hollister as UDFAs. And the news that Hollister at least initially made the roster was exciting news. He’s one of a few UDFAs that made the team along with Adam Butler, Harvey Langi, and Cole Croston. However, his brother Cody was released but may be brought back onto the practice squad if he clears waivers. The Buffalo Bills have traded for Carolina Panthers wide receiver Kaelin Clay. Carolina got the Bills sent second-year cornerback Kevon Seymour. The Bills also acquired Carolina’s seventh-round pick in the 2019 NFL Draft. Clay will be expected to be a vertical threat for the Bills offense this season and will be called on to return kicks as well. He played for the Ravens in 2015 before getting injured and going on IR. He was out of football before signing with the Panthers this spring. The Dolphins signed safety T.J. McDonald to a four-year extension on Saturday. Financial terms were not disclosed, but the deal is reportedly worth $24 million and includes $10 million in guarantees. McDonald signed a one-year deal with Miami in the spring despite being hit with an eight-game suspension for violating the NFL substance abuse policy. The suspension begins this week. The New York Jets addressed one of their needs by getting wide receiver help by trading DL Sheldon Richardson to Seattle for WR Jermaine Kearse. The Jets also get a 2nd round draft pick in 2018. The teams also swapped their 5th round draft picks. Kearse has always been very productive but is coming off of a down year in 2016 when he logged only 41 catches for 510 yards and one touchdown. The Jets will obviously be expecting much more. Richardson, 26, has spent his entire career with the Jets. The former Defensive Rookie of the Year made the Pro Bowl in 2014.But his maturity has been called into question several times and he’s been suspended by the league twice. 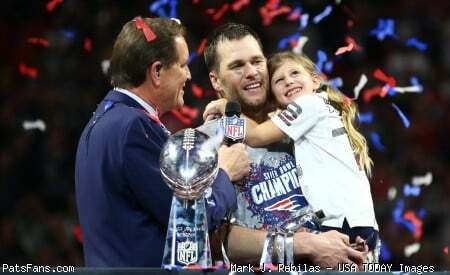 This entry was posted in NFL Commentary, Patriots Commentary, Patriots News and tagged 53 Man Roster Projection, Adam Butler, Bill Belichick, Buffalo Bills, Chris Hogan, Cole Croston, Danny Amendola, Dion Lewis, Dont'a Hightower, Harvey Langi, Jacob Hollister, James White, Jimmy Garoppolo, Malcolm Butler, Miami Dolphins, New England Patriots, New York Jets, NFL, Patriots, Patriots edge rushers, Rob Gronkowski, Tom Brady, Trey Flowers on September 3, 2017 by Steve Balestrieri.